Proper MSDS’s should include information such as physical data, toxicity, health effects, first aid, reactivity, storage, disposal, protective equipment, and spill-handling procedures. 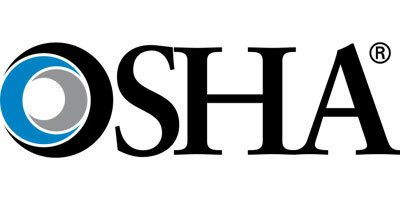 The Federal Occupational Safety and Health Administration or OSHA is actually very specific about exceptions to its application and scope of MSDS requirements. MSDSs only are one tool of our hazardous communication standard. In its statement of purpose the regulation clearly states that, "This transmittal of information is to be accomplished by means of comprehensive hazard communication programs, which are to include container labeling and other forms of warning, material safety data sheets and employee training." Most products that are not chemically based or have no active ingredients are considered “articles” as defined in OSHA “Hazardous Communications.” (29 C.F.R. 1910.1200 (b)(6)(V). Consequently, as articles, these products are exempt from the Material Safety Data Sheets. Below is the OSHA definition of articles. (MSDS) provisions of 29 C.F.R. 1910.1200(g)(6). Articles as defined in 29 CFR Part 1910.1200(b)&(c); A manufactured item other than a fluid or particle: (I) which is formed to a specific shape or design during manufacture; (II) which has end use function(s) dependent in whole or in part upon its shape or design during end use; and (iii) which under normal conditions of use does not release more than very small quantities, e.g., minute or trace amounts of a hazardous chemical (as determined under paragraph (d) of this section), and does not pose a physical hazard or health risk to employees.